Leading Exporter of organic herbal seeds, natural herbal seed, medicinal herbal seed, herbal seeds, holarrhena antidysenterica and holoptelea integrifolia from Faridabad. We provide Organic Herbal Seeds that are grown to produce highly aromatic herbs used for medicinal and culinary purposes. 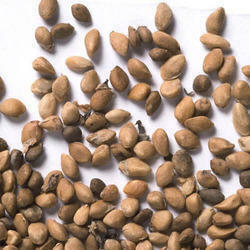 The seeds have a plump appearance and are of excellent quality. These can also be consumed on their own and serve as excellent dietary supplements. They have been processed as per requirements. We produce and supply a comprehensive assortment of Natural Herbal Seed. 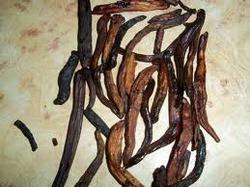 These are used to grow hers that are utilized for a wide range of medicinal as well as culinary purposes. The seeds have been processed in compliance with the requirements. These have a healthy appearance and an excellent germination rate. They are made available in suitable packaging. We produce and supply a comprehensive assortment of Medicinal Herbal Seed that provide an excellent yield of whole herbs. These are highly renowned for their medicinal properties and are widely used in medicinal and culinary preparations. These have appropriate moisture content and are free of impurities. The seeds are cleaned thoroughly and provided in a standard packaging. 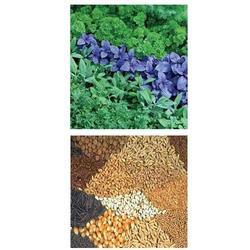 We offer a wide variety of Herbal Seeds that are of excellent quality. These are widely used owing to their medicinal properties. The seeds have been processed adequately and have an excellent germination rate. 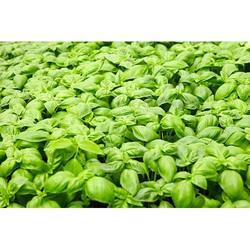 The herbs have been produced in ideal conditions, aided by the use of fertilizers and other inputs. They are made available in standard packaging. Looking for Herbal Seeds ?